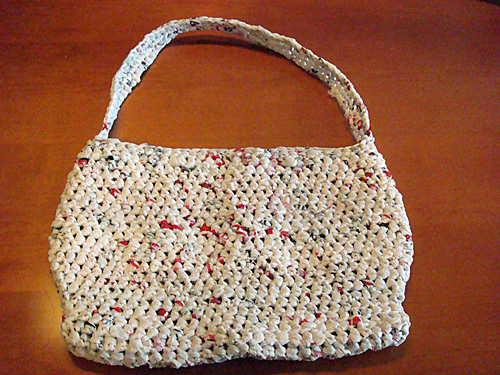 Deliver your next gift in a reusable, upcycled plarn gift bag. 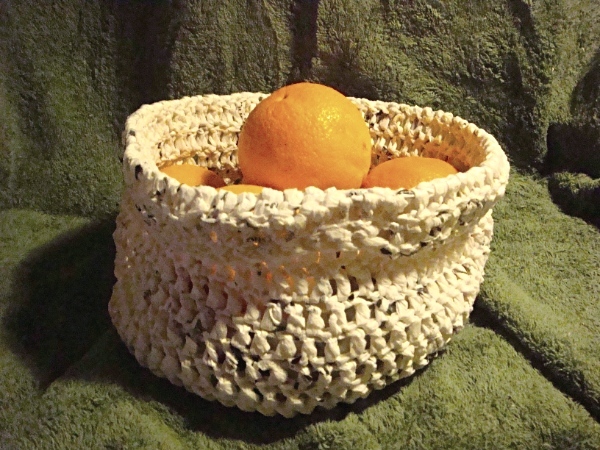 Use this versatile crocheted plarn bowl to gather up and organize keys, toys, kitchen items, and more. 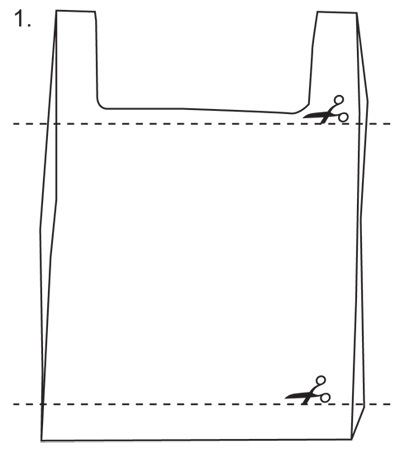 This versatile hauler has a wide shoulder strap for comfort carrying heavy loads. 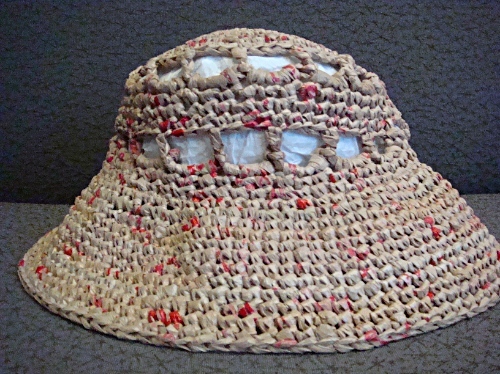 This plarn hat is easy to wear and comfortable. On warm days you’ll appreciate the breeze coming through the decorative gaps. 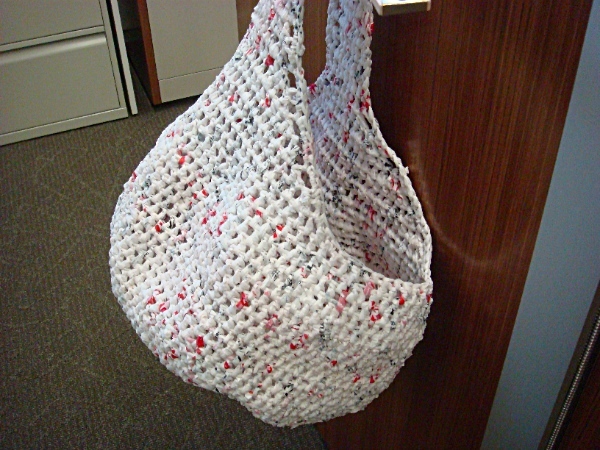 Bags crocheted with plarn are exceptionally strong, and also long-lasting. 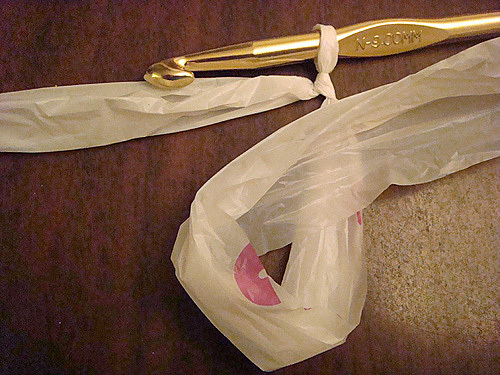 Take a look at this side-by-side comparison of how plarn bags handle a bowling ball drop vs. typical single-use shopping bags. 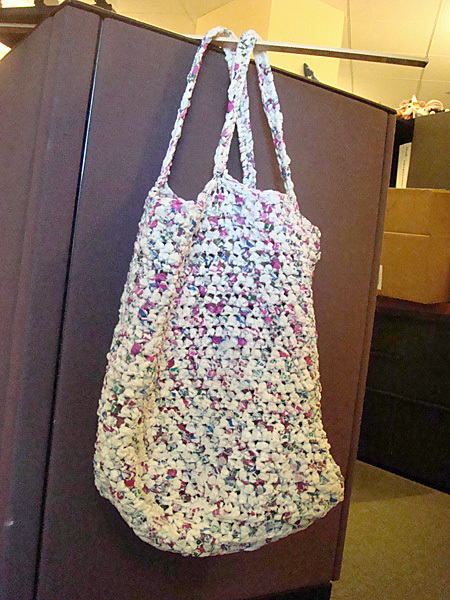 Plarn crochet creates a sturdy tote bag to use as a purse or reusable shopping bag. 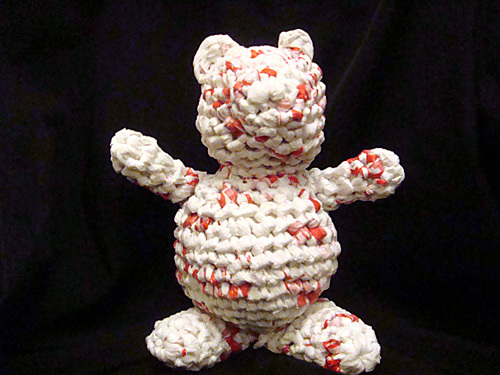 Crochet drink coasters using plarn. 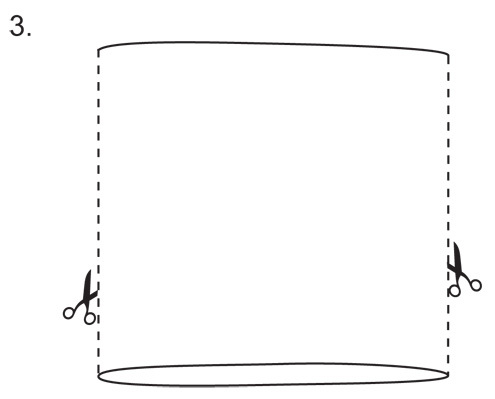 Make them a bit larger to use them as mats under potted plants. First round: Make magic adjustable ring; make one single crochet.